You've probably heard of CopyTrans before which synchronizes the content of your iPad or iPhone with computers running Windows. The whole CopyTrans suite has apps dedicated to synchronization and backups of most iOS data. Personally, I like CopyTrans Photo, which offers fullsize photos synchronization with my iOS device (note, that iTunes doesn’t). These days a new addition to CopyTrans Suite just got released. 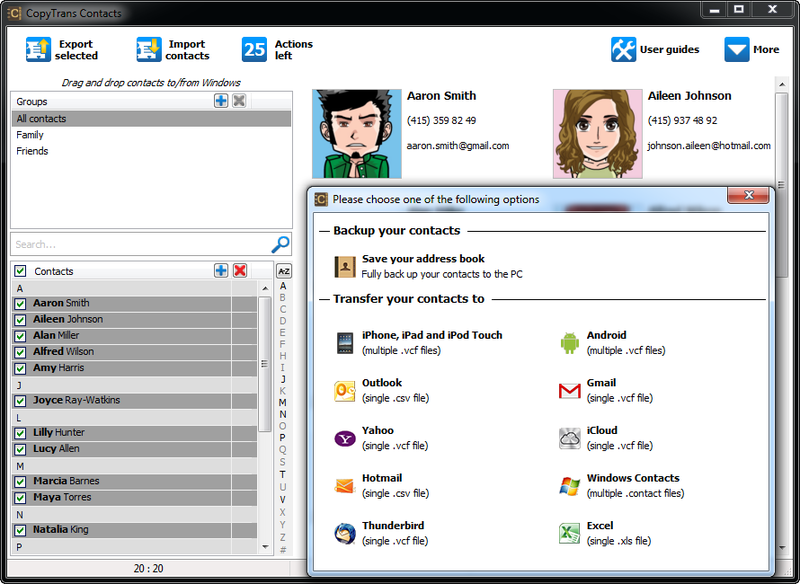 CopyTrans Contacts is able to backup or edit the contacts on your iPad / iPhone. I think the default iTunes app doesn’t allow comfortable editing of your contacts on iOS device, so this new software is important for all people who would like to edit them directly. Yes, there is always the possibility to add, edit or delete the contacts using any cloud or internet service, like Gmail or Microsoft Exchange. On the other way, their can't serve as a backup storage. If someone steals your account credentials, he can delete all your contacts on the remote service and the iPad / iPhone will sync the changes too. So the backup of the iPhone (iPad) contacts is a very important feature of CopyTrans Contacts in my view. Using of the software is very easy. CopyTrans Contact doesn’t need an installation, just download the app, unpack it somewhere and run it. Now you should see the full list of your iOS contacts on your computer screen. So select one or more contacts and click the Export selected button. 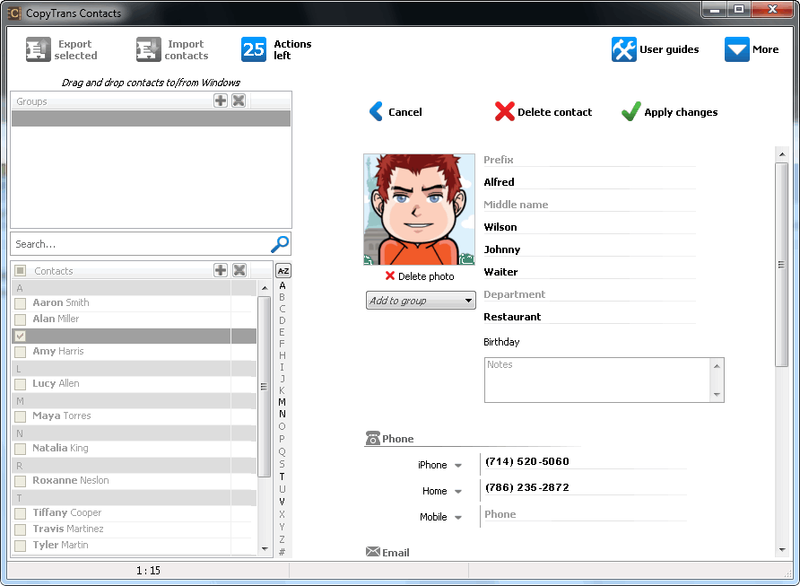 Moreover, you can select one contact item and edit it directly with this software. Another feature of CopyTrans Contacts is importing your contacts from various formats. Just start the software, plug-in the iOS device and click the Import contacts button. Most formats are supported, including VCF, CSV or Excel’s XLS. 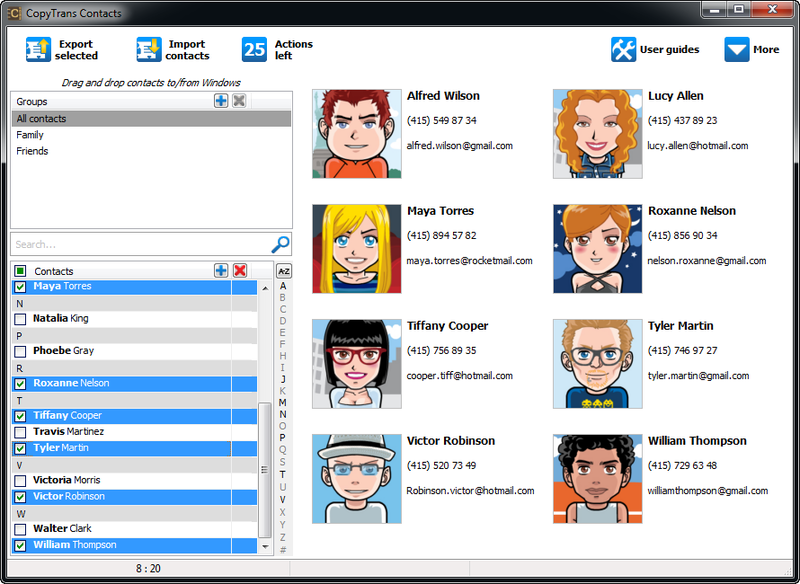 CopyTrans Contacts is not free but is available till September 30th for only 1.99 USD. Thereafter the price will be 9.99 USD. CopyTrans Contacts is fully compatible with the latest software and devices, like iPhone 5, iOS 6 and Windows 8. Older version are supported too, of course. You can find more information about this software at www.copytrans.net/copytranscontacts.php. And a final note: you really don’t need iTunes installed on your Windows computer to use CopyTrans Contacts. 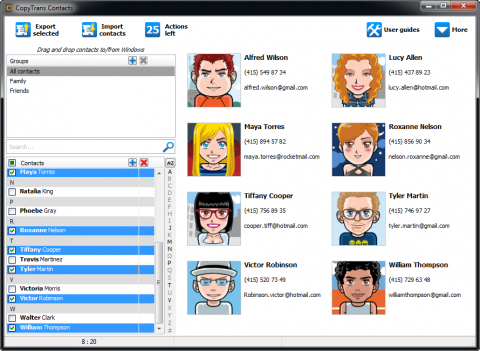 But you need iPhone or iPad drivers – CopyTrans Contacts will download them for you if needed.